– Chip Kidd, The Cheese Monkeys: A Novel in Two Semesters. Detail from poster by Madison O' Neil, Kutztown student. 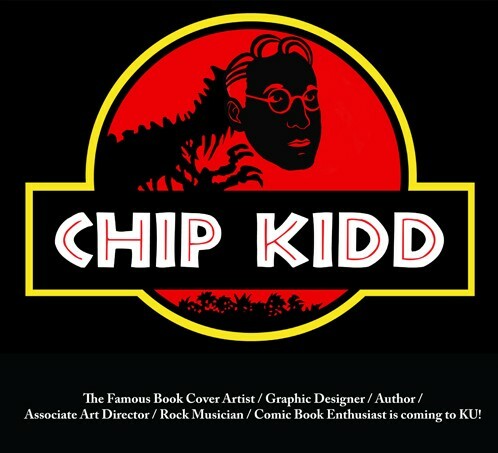 Chip Kidd is coming to Kutztown University. America’s best known book cover designer, he was even an answer (in the form of a question) on Jeopardy! His visit is brought to us by the hardworking students of Kutztown’s AIGA chapter. The event is FREE. Weds. March 28. Time: 7pm. Room 200 at Academic Forum. A sample of Chip Kidd’s greatest hits can be seen here at Time. By the way, the university referred to above is not Kutztown University. It is fictional and located in someplace like Happy Valley. One of Chip Kidd's award-winning cover designs. 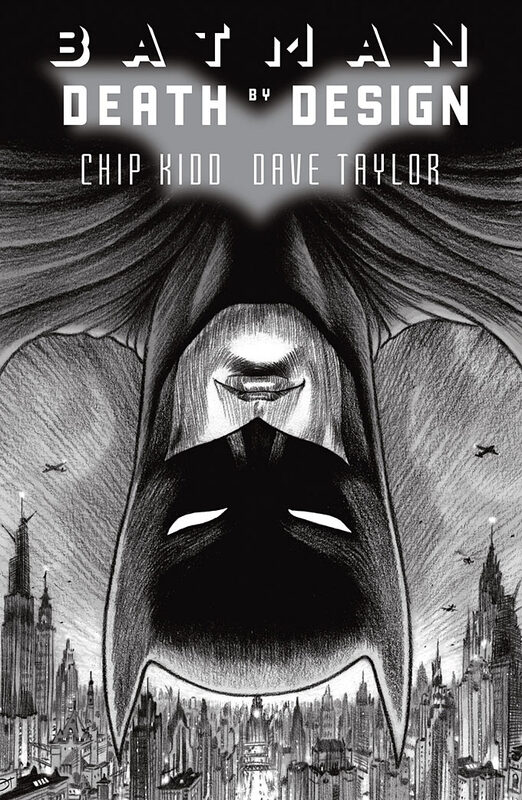 Chip Kidd is the author of the eagerly awaited new hardcover Batman graphic novel, Death by Design, with art by Dave Taylor, due out this June. Below is a sneak preview of the cover. < Previous ELVIS Face on Tortilla! FAKE!